PackageShell provides an environment for software packages to run in. It standardizes the interface for admins, package authors and end users. This enables efficient operation and facilitates deployments in large enterprise environments. You have chosen a fine, standard product like Microsoft System Center Configuration Manager (aka SMS or SCCM) or IBM Tivoli. While these product offer great flexibility and many features out of the box, you may require a higher degree of optimization to achieve even higher success rates, better package maintainability and overall standardization. You could attempt to solve some of these through custom scripting - save yourself the pain! 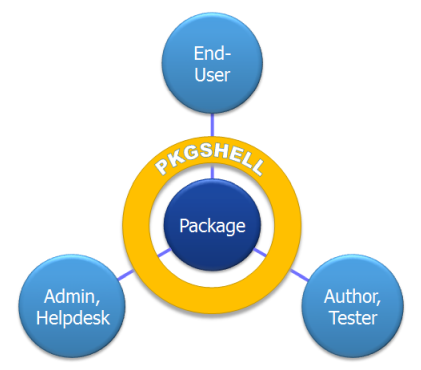 PackageShell is a proven solution that is built on over a decade of best-practice experience with large deployments. Book traversal links for General - What is PackageShell?